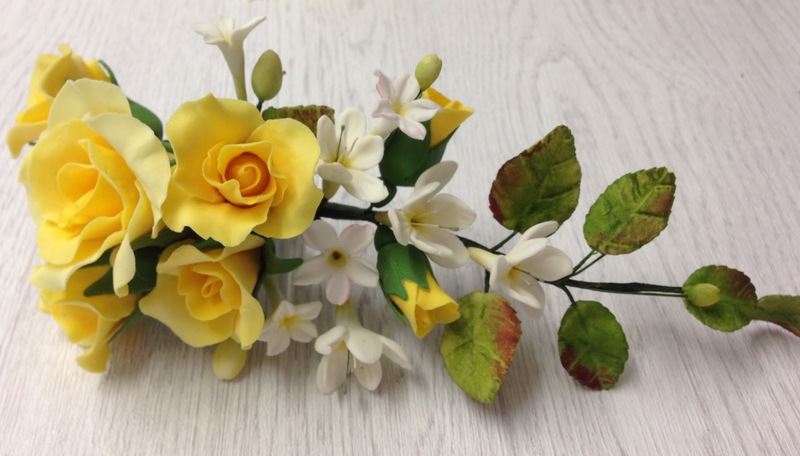 Under the guidance of our City and Guilds distinction lecturer, Karen, you will learn the skills of producing a beautiful bouquet of wired sugar flowers. You will make a range of Rose buds, half blown and fully open Roses, Freesias, pips and Summer Jasmine. Delicate and realistic colouring skills will be taught next and when fully dry you will learn how to wire sugar and glaze leaves. Finally, we will show you glazing and binding skills which will enable you to produce a beautiful bouquet. If you would like to make an exact replica of your own bouquet, this is available in our ‘Create your own course’ category. Be the first to review “Beautiful Bouquets” Click here to cancel reply.